Karthi gave a huge hit in the form of Oopiri. It was his first straight Telugu film which was much appreciated. 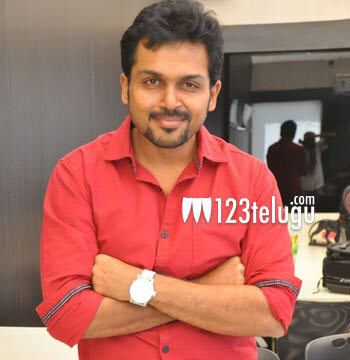 News now is that Karthi is eagerly looking forward doing yet another film in Telugu. He is currently wrapping up a film with Mani Ratnam and is busy reading scripts. Speaking in an interview, he said that he will be mostly looking at bilinguals which will be helpful for his career. As of now, he is busy promoting his latest film Kashmora.